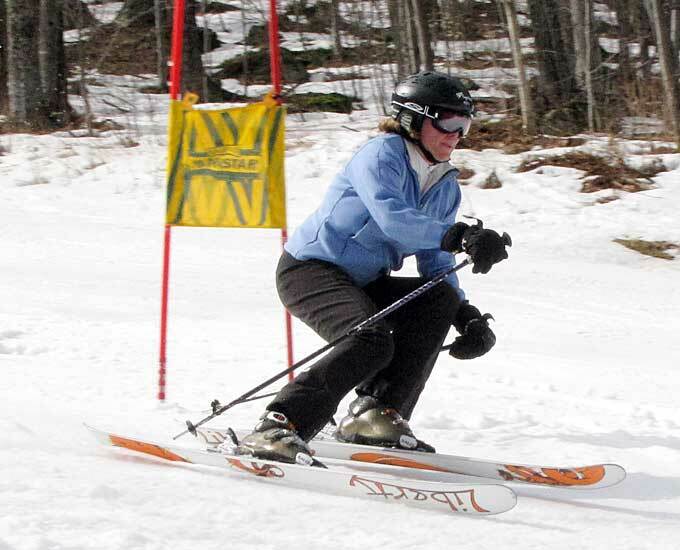 The Sugarbush Racing Club is all about fun racing, friendly rivalries and great parties! 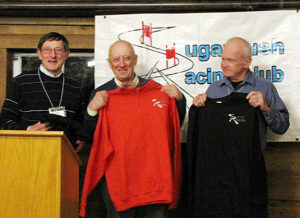 For over 40 years, the Sugarbush Racing Club has been the place for friendly ski race competition and for friends to meet. Our Club races are all about fun, friendly rivalries, and great après-ski parties. We get together once a week for a two run race challenge. If you’re worried you’re not fast enough to race… don’t be! We run the whole gamut of talent and skill. The one thing we all share is a love of alpine skiing, telemarking and snowboarding. 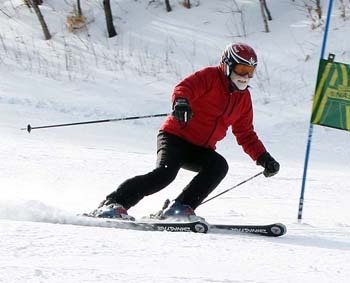 SRC welcomes skiers and riders of all ability levels. Watch the 8-minute promo video (below) to learn more. Scan through the rest of the web site. Go to our membership page for more information on how to join the SRC and add a new dimension to your skiing and snowboarding fun. SRC’s Thursday race series this coming winter is on a dedicated course on Racers Edge with a feature race on the Legend’s course. 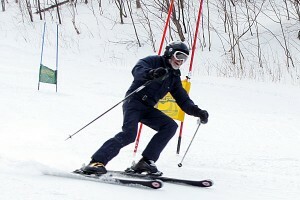 We race giant slalom using a dual course format and NASTAR timing. The races begin at 10:00 am and run until noon. There are eight races planned. Our après-race party begins at 4:30 pm at one of the great restaurants in the Valley. See the calendar page for up-to-date race schedules and party locations where you’ll enjoy good company, complimentary hors d’oeuvres, great door prizes, printed race results and a video of the day’s races. See our racing page for more information on how you can get in on all the racing fun. Some of our members have been racing every week for over 20 years, while others have discovered us more recently. Ages range from those in their 20s, all the way up to some in their 80s. 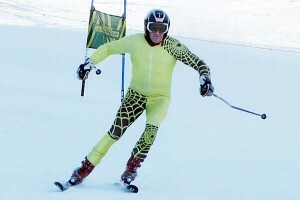 At one end of the spectrum, we have some serious racers, “The Suits”, who always go for broke in skintight outfits. At the other end of the spectrum, you’ll find people racing who have very little experience in gates but race just for the sheer joy of it. Everyone is welcome! Although the Club races are reserved for SRC members, you are invited to come out and give it a try before signing up as a member. Just come out, pay your race fee at the Gate House and get a voucher to take to the starter’s shack. Then see what the fun is all about! Aside from weekly post-race parties, SRC offers a number of great social activities throughout the year. These range from a summer golf outing, fall picnic, mid-winter dinner-dance, winter hockey night at Norwich University, to a fantastic year-end banquet with race awards and many gift drawings. Not all club members race, but few would miss these events! The club also supports non-club Valley events. Check our social page for a complete list of events.